I’m extremely grateful for all of you who allow me to do what I love every single day! When I started this little food blog back in 2008, I never dreamed it would become a full time career, and that I would have not one, but two New York Times Best Selling Cookbooks! I still look back some days and I’m amazed at where this little hobby has taken me. None of it would be possible without all the Skinnytaste fans trying and sharing my recipes – A HUGE THANK YOU!!! And now as the year comes to an end, I love looking back through the recipes I posted this past year to see which ones made it to the top 25. Here are the TOP 25 Most Popular Recipes from 2016 as well as links to my most popular posts from previous years. If you are new here, this is always a great place to start! Did your favorite recipe make the top 25? Leave a comment here and tell me your favorite!! Ohh there is a lot of dishes I love to eat especially Chicken Curry with Coconut Milk. 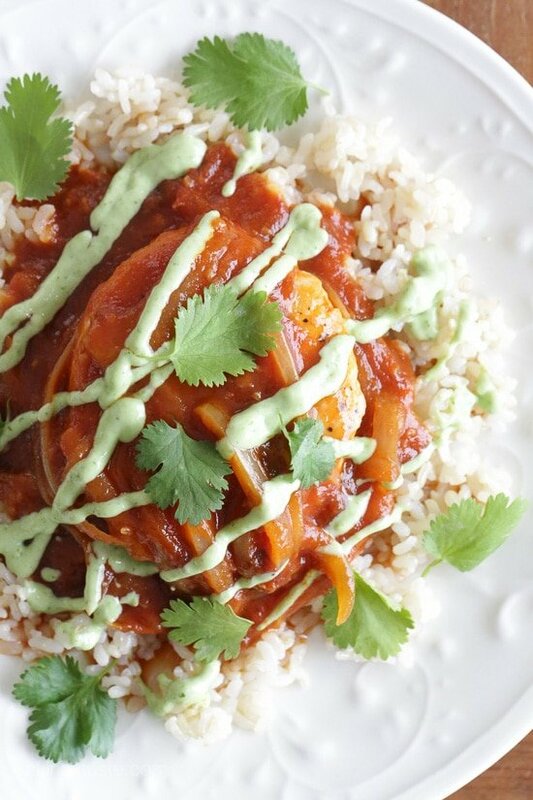 But I will try to make Skillet Chicken in Tomato Chipotle Sauce at home, I don’t how will taste it? Thanks for sharing all delicious recipes. I have so many favorites it is hard to choose. I do like the crock pot ones where add things and walk away. I have some on your list that I have not tried yet. Will need to work my way through them. Really every recipe of yours that I ever try becomes a favorite. Really outstanding work. A lot of my favorites made it here. The turkey meatball stroganoff, the Salisbury steak meatballs and my absolute, absolute favorite the shawarma chicken. Everyone I’ve introduced it to has absolutely loved it as well. Also, using mainly your recipes, I have also been able to lose over 25 lbs so far this year. Thank you for making healthy, easy recipes that taste great! Love your meal plans! Any chance with the grocery lists you can add how much like with chicken thighs it says “chicken thighs” but then I have to look to see how much. Hi Gina, thanks for all of your amazing recipes!! 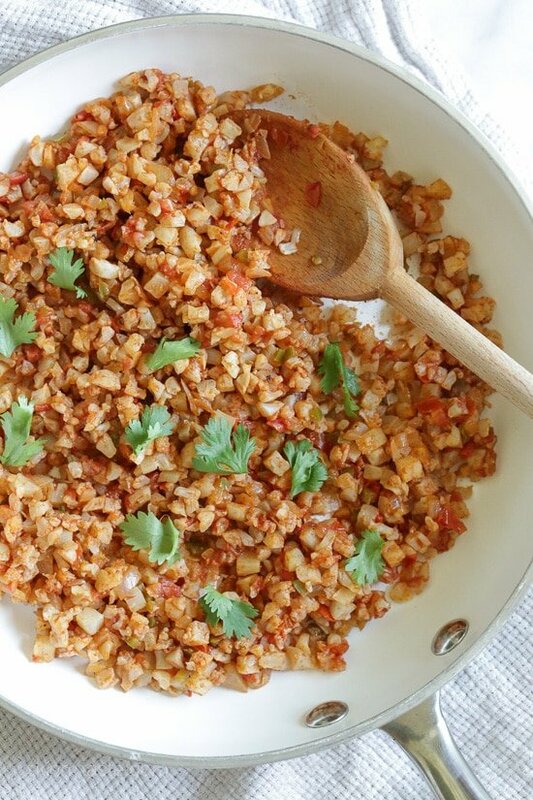 Would you be able to post the most popular vegetarian recipes?? Thank you Gina! I was just organizing my recipes and realized that most of them are YOURS! Your recipes are delicious and your photos are beautiful. I’m glad to have found you. Thanks!! 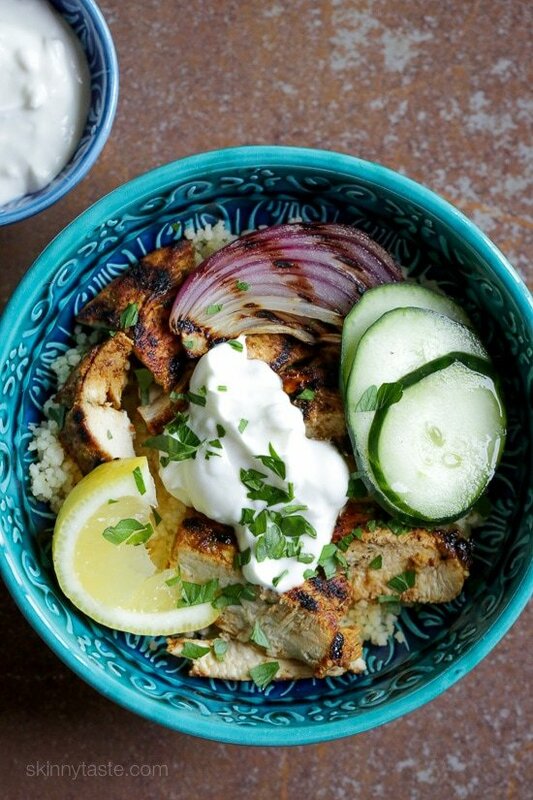 The Schwarma chicken is our favorite!!! 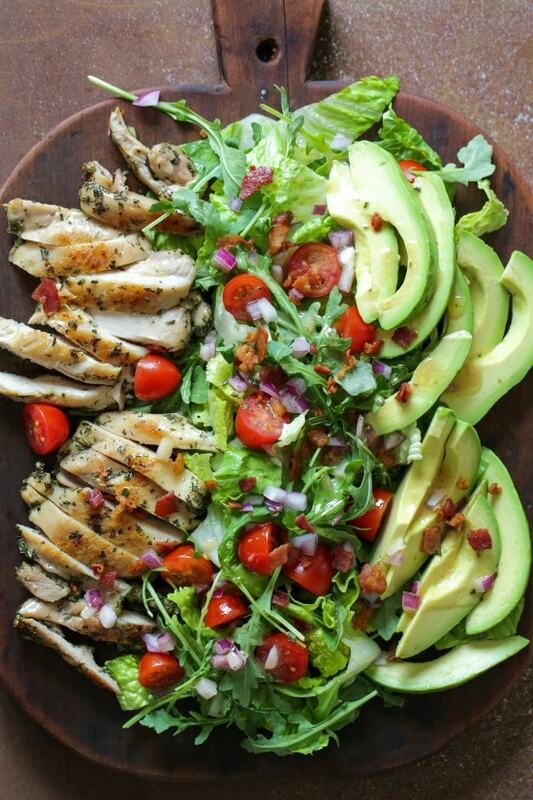 So delicious and flavorful. Your avocado toast with lemon and kale was the first recipe that I tried and is still a breakfast favorite! That’s what got me trying others. Sooo goood and healthy! I have to say that I have tried many salsas , but your restaurant salsa is the very best! I loved your book and have recommended your website a lot. 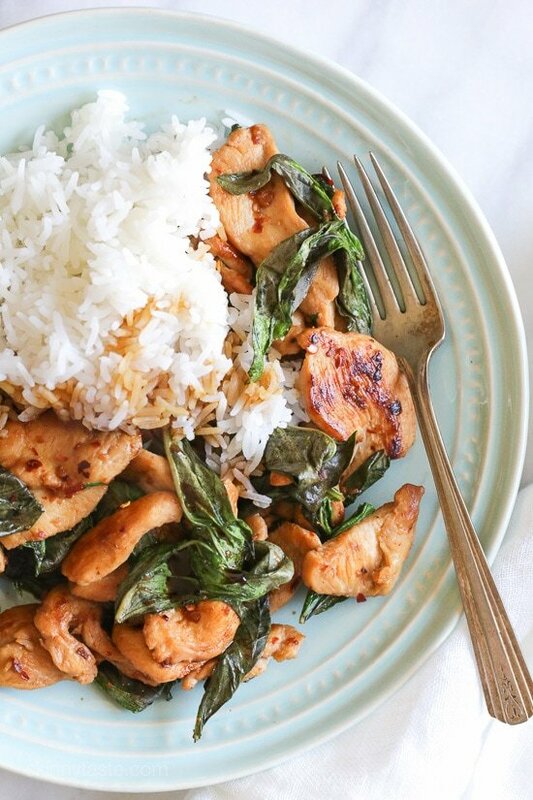 I want to start my New Year off right, so I’m here pinning lots of recipes . Impossible to choose just one favorite! Several of the above are on regular rotation at our house now. I started using your recipes in June when I started WW, and I have lost 55 lbs so far on my journey to lose 100. 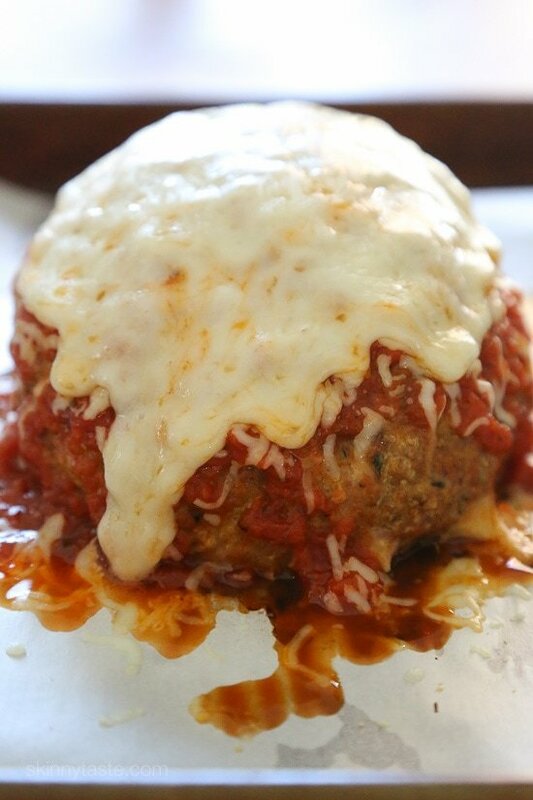 If I had to choose one recipe from the above that is our “favorite” it would be the Giant Turkey Meatball. Parmigana. The whole family loves it. Thanks for posting this list. I just printed a couple more recipes from here that I have not yet tried, and will definitely try them soon. Thanks for all your great work! You inspired me to get an Instant Pot for Christmas, which inspired my sister to get one too. 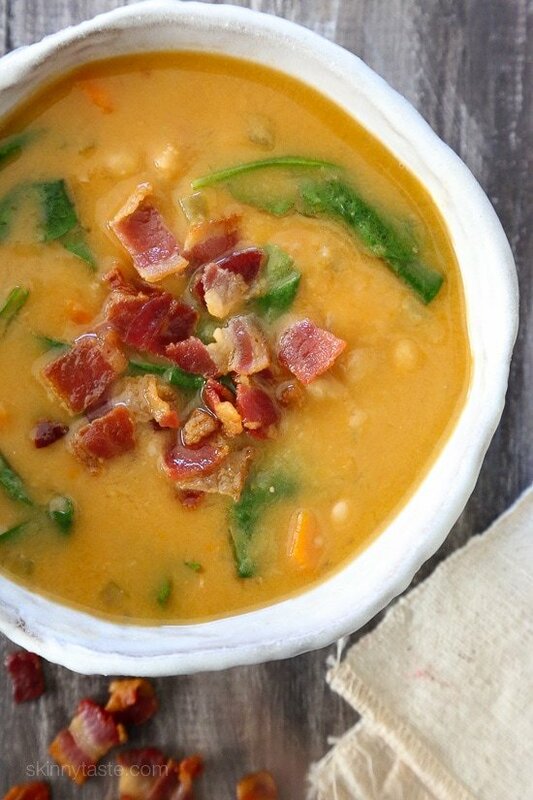 Can’t wait to try some of these soups in it! Congrats, that is awesome!!! I love the giant turkey meatball too. Happy New Year Marlene! I just have to add that I am also working on trying things in your latest cookbook. 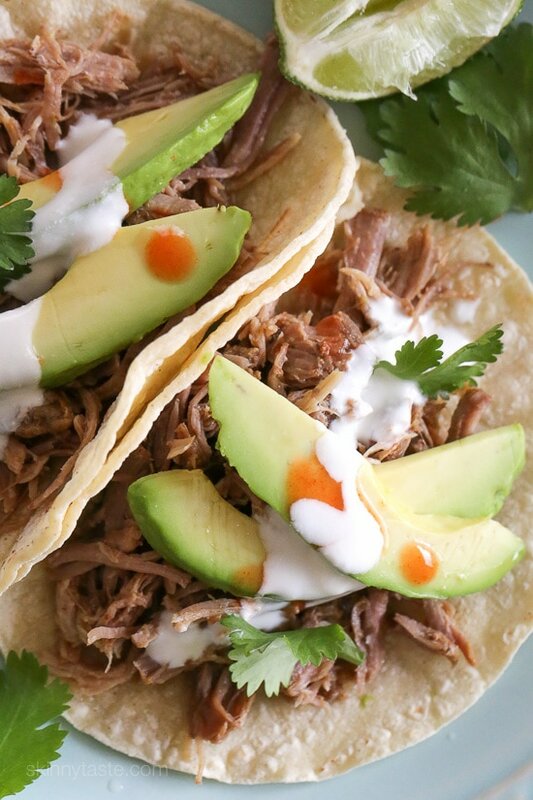 I made the Slow Cooker Korean-Style Beef Tacos last night for the first time. Delicious. My teenager was skeptical, but was completely won over after trying it. Definitely will be making this often. Cannot tell you enough how your recipes have changed my life. 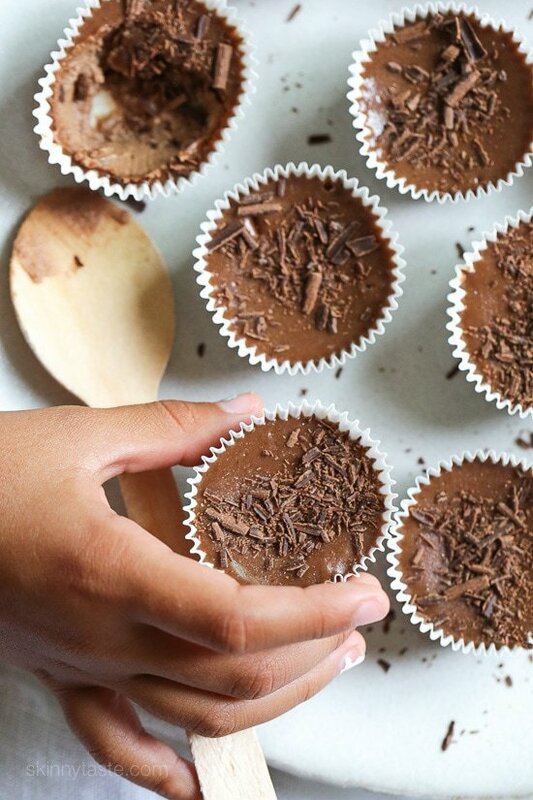 Love all your recipes – both sweet and savoury. Just made a batch of pumpkin banana mini muffins yesterday (from the loaf recipe), made mini lemon cheesecakes and apple crumble for family Christmas. The family loves the Korean rice bowls and I make the baked salmon cakes as a meal by putting them on spinach or with other vegetables. Looking forward to trying cauliflower rice this week for the first time. Thanks so much for doing what you do! I can’t believe the spicy California Shrimp Stack didn’t make the list! I rave about it and make it all the time! Just bought your second book.. can’t wait to get into it. Your website as always is the best.. thanks for all you do! 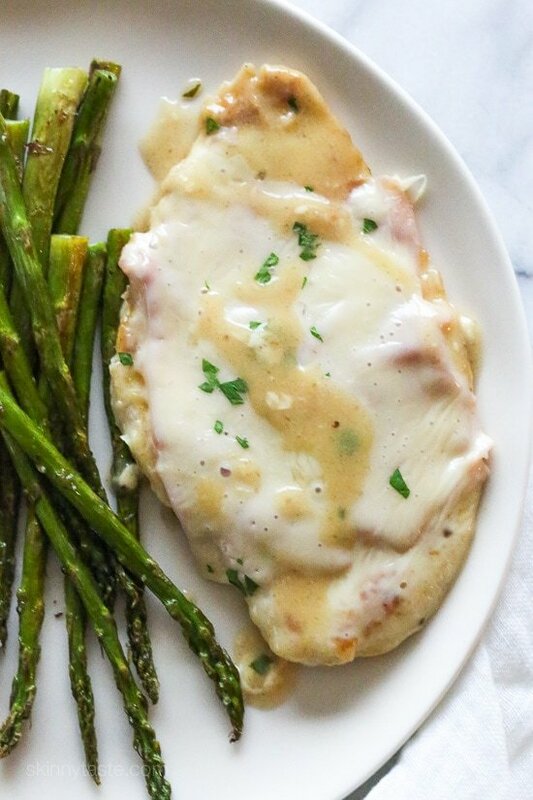 Several of my favorites from this year made the list – the bean soup, the skillet chicken cordon bleu, and the one skillet green beans and chicken. Thank you for the delicious meal ideas that help keep me focused on my nutrition goals by keeping me excited about what I eat! So many favorites, I am a fan! To list a few: cheesecakes, the stuffed turkey breast with butternut and cranberries, The cranberry sauce recipe, The chicken cordon blu meatballs, the Persian turkey burgers, all the pork recipes, crock pot ones and pork tenderloin ones like-Reuben stuffed pork loin, shrimp recipes-like Pesto grilled, and zoodles with shrimp scampi etc, chicken enchiladas, roasted poblanos rellenos, stripped bass with garlic crumb topping, skillet sole with tomato and caper ,broccolini and flounder bake, black bean burgers., spiralized anything, your sauces: enchilada and marina, etc etc. I think by listing these I realize I need to become as familiar with your new book as I am with the original. New Years Eve–will try a new shrimp recipe from the Skinnny Taste fast and slow book. You are one of my top two go-to places for new recipes. I am very lucky that my husband loves food as much as I do, and he willingly tries anything I put on the table! My friends now ask, “Is this a Skinnytaste recipe?” when they come over, because they too have found your site to be a fabulous resource. I absolutely love how you infuse great flavor into your dishes…there’s no reason for healthy food to be bland! I would love to see more white fish dishes in 2017. We live in Michigan, and Lake Michigan whitefish is a wonderful fresh local option. However, most recipes for white fish seem to be pretty inclusive, so I’m sure your readers could use any local fish of choice. I would also love to see a continued stream of spiralizer dishes. I bought one last year and it’s a fun tool to use when I’m looking for a different presentation or twist. 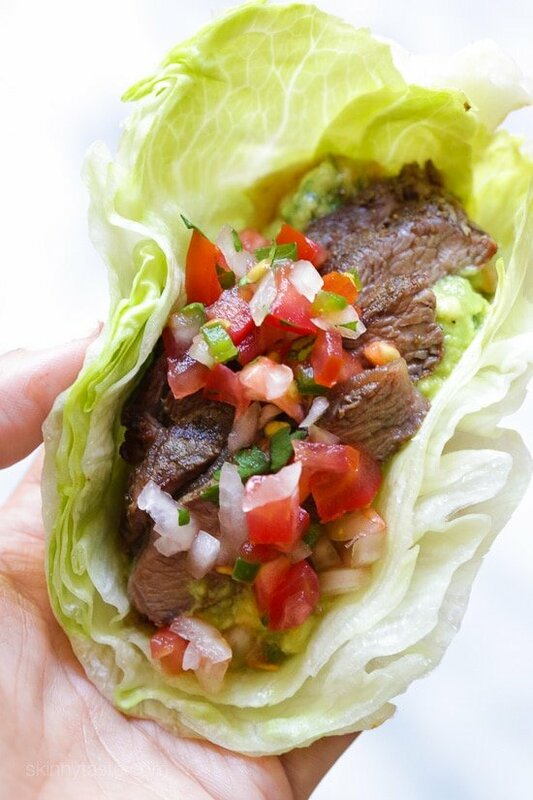 You’ve helped me keep 30 pounds off, while remaining an enthusiastic and adventurous cook. Thank you! I would love to know what you have in store for 2017! I, like so many, follow have been religiously cooking recipes on the website and in your cookbooks since 2012 🙂 Do you have any types of dishes you plan on trying more of? My favorite this year had to have been North African spiced shrimp OR the farro stuffed acorn squash! So glad you liked them! I get inspired by eating out and traveling. Is there anything you would like to see more of? I love trying new foods outside my comfort zone, and get really excited when I see something different on your blog 🙂 I would love to see more seafood and ethnic dishes! I got BOTH of your cookbooks for Christmas–lucky girl, right?! The only problem is I’m not sure which new recipe to try first!! I’m having a slice of your feta, spinach, and artichoke egg bake for breakfast. Absolutely delicious! Thanks for helping us all eat healthfully!! You are a lucky girl!! 🙂 Enjoy! I have just discovered you and your website in the past few months! THANK YOU! THANK YOU! THANK YOU! I have lost 18 pounds in almost 3 months on weight watchers and it has been much easier with your recipes. Even my husband is eating things that he would not have tried and that are amazing. He is chanting your name! GI-NA! GI-NA! GI-NA! You are my hero! 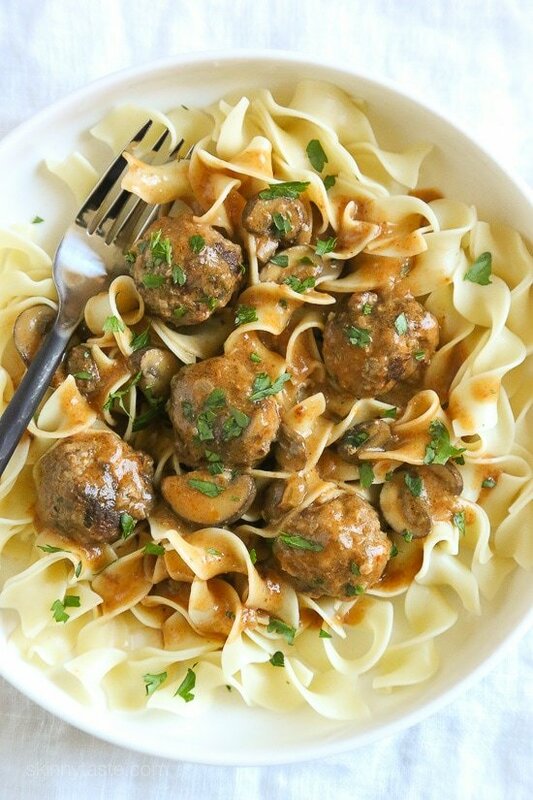 Turkey Meatball Stroganoff was exceptional! Loved it. Thanks. Love so many of the recipes — they helped me lose 70 pounds on weight weights and are now helping me keep it off. Some of my favorites are your zucchini meatballs, butternut squash soup (all versions :-)) and chicken parm. Happy New Year!! Great job!! Happy New Year to you too Alison! It’s a tie between like ALL of your recipes LOL! I have turned everybody I know onto your site and love both your cookbooks!! My favorite recipes of 2016 made the list- the rosemary chicken salad is awesome- we had it for dinner last night. I also love the beef tomato and ancini de pepe soup. That soup is on regular rotation over here. My husband thinks I am a great cook but really I just know how to read a recipe 🙂 thanks for all you do! Those are 2 of my favs too! My husband always requests the Broiled Tilapia with Thai Coconut Curry Sauce (or any fish, chicken,shrimp, even tofu and veg :). That sauce is his favorite! I love your recipes, thank you for all of your time and effort! Gina! 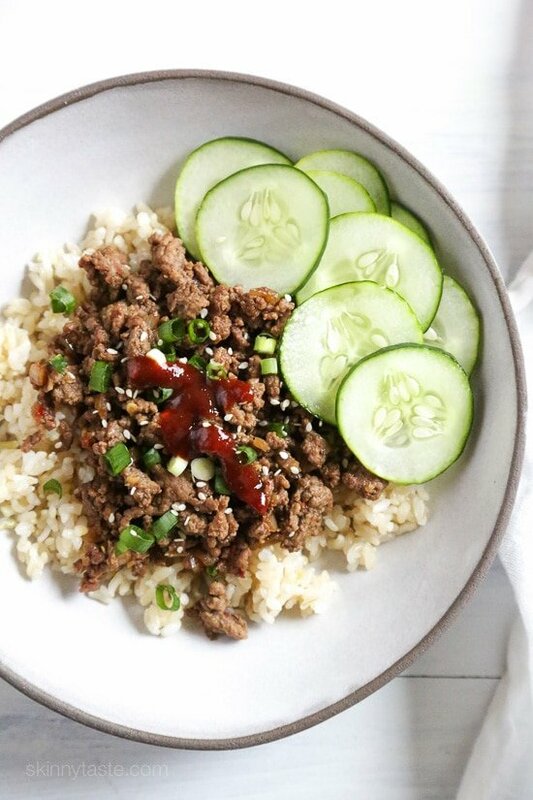 We make the Korean Beef Bowl at least once a week! It’s become a family staple. 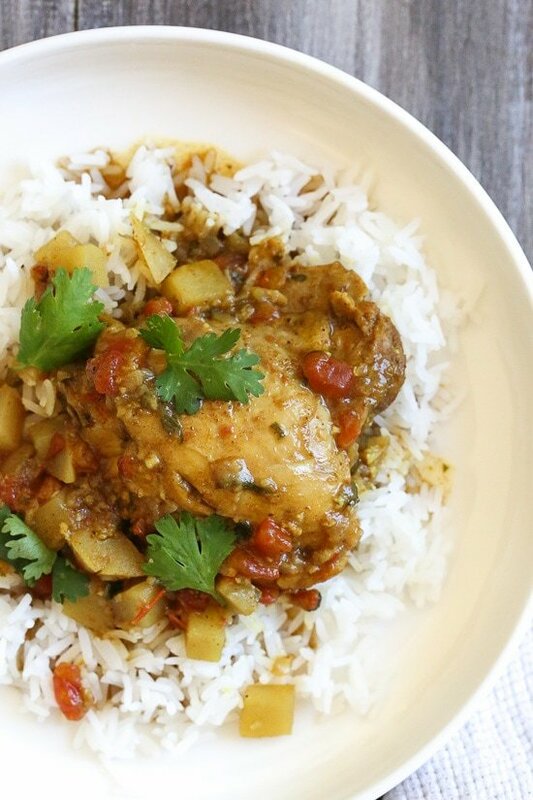 Thank you so much for such a wonderfully flavorful and easy recipe! You rock! We loved your noodle-less butternut squash lasagna. I added a layer of sauteed Swiss chard to it since I had it in my refrigerator to use up and it made for a very colorful, flavorful meal. Thanks! 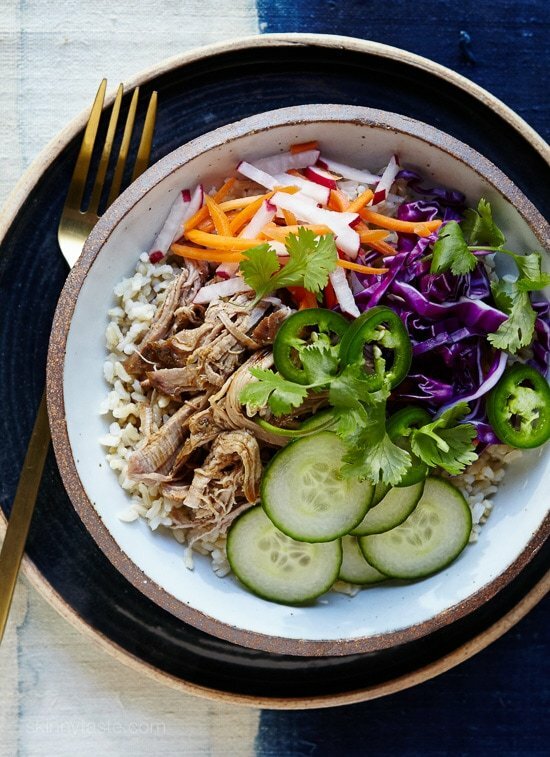 The Banh mi bowl is definitely my favorite from 2016! I have made it for guests and they are always impressed. Picadillo is my favorite overall-it is so versatile! Thank you Lilly! Happy New Year to you too! I have to tell you that as a busy, single mom of four, your menu plans are a life saver. The grocery lists has even cut my grocery bill down quite a bit because I’m not buying more than I need and not only that, I’m not throwing food away for lack of meal ideas. My children, 13, 11, 5 and 20 month old love everything I have made from your meal plans. You are one talented lady and a God send. Thank You!! Thank you for your amazing creativity and devotion to your cooking and your followers. Yours is my go-to place and my family loves all your recipes. Your coconut shrimp was on our Christmas Eve table and we ate it with great gusto. Happy New Year! 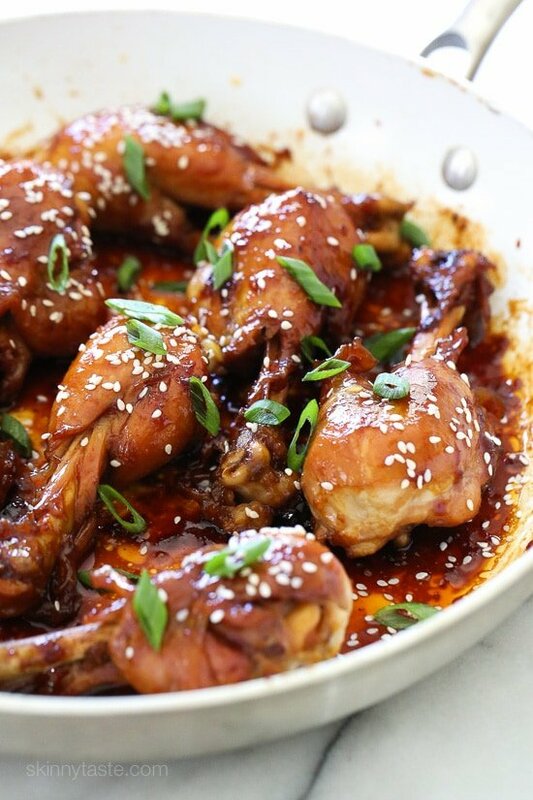 The Teriyaki Drumsticks are our family favorite. Even my elderly mother, who has NO appetite during chemo loves these! When she hasn’t eaten right for a few days, I know I can make these and she’ll get some good, healthy protein. 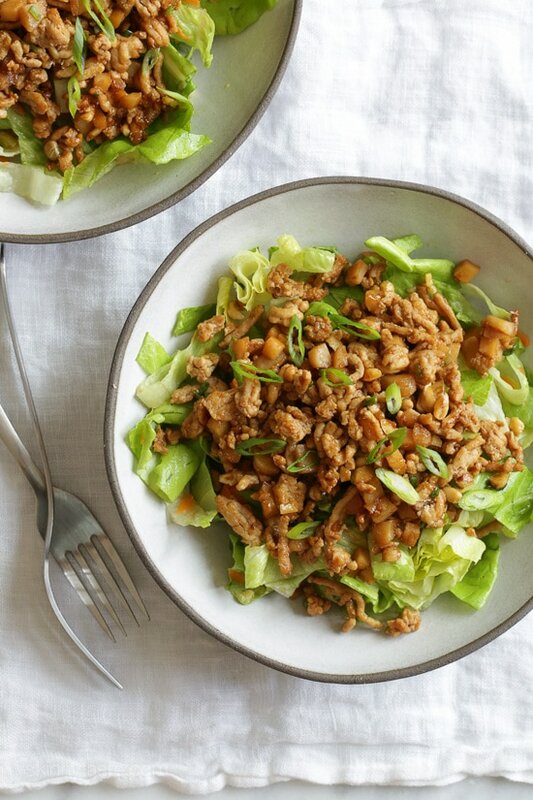 Our two favorites are Korean Beef Rice Bowls and Asian Chicken Lettuce Wrap salad. We live in AZ and during the warm months eat a lot of salads. I have made the Korean Beef and put it on top of a salad. 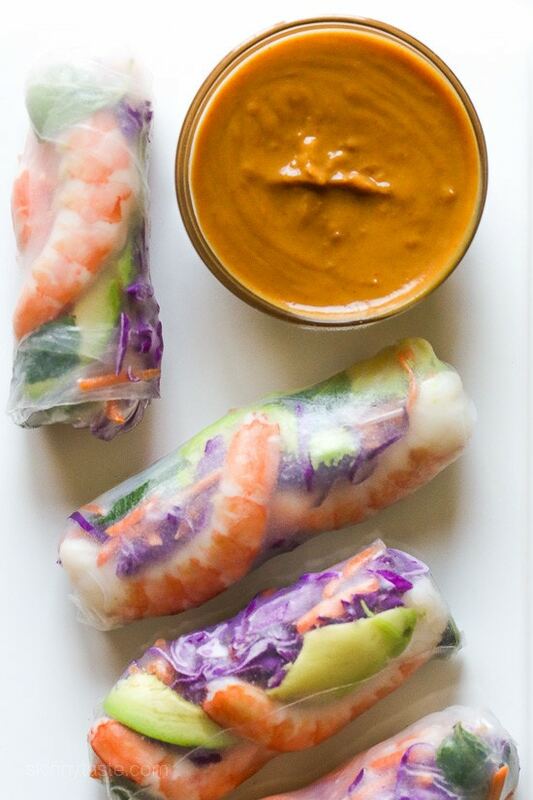 I also love the deconstructed shrimp spring roll salad. 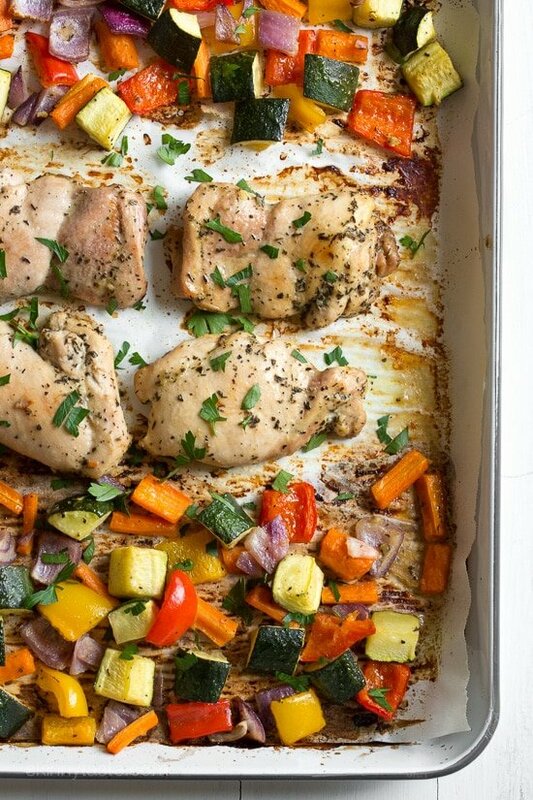 Our favorite warm dishes are Acini de Pepe, Picadillo and Sheet pan Italian chicken and vegetables. Your recipes are so flavorful! You have helped me reach my goal weight. I have thoroughly enjoyed cooking again, and my husband loves the wonderful dishes I have put on the table. He lost weight too! Lasagna soup and broccoli cheese soup with potato (is that 2016?) and from your new cookbook the crustless apple pie – i have made that multiple times recently. 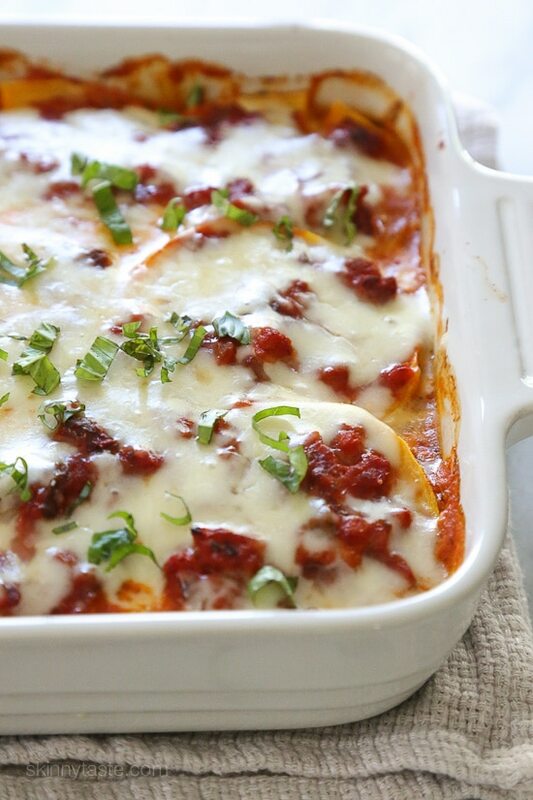 Must try butternut lasagna. I’m a vegetarian, so I adapt some of the meat recipes also. That Korean Beef Rice Bowl became my go to meal of the fall. And now I put gochujang on pretty much anything that needs a little oomph. That being said, thank you SO MUCH for this blog and cookbooks and all your time and dedication to creating all these fantastic recipes. I now love spending time for myself in the kitchen cooking all these bomb recipes! You are such an inspiration! I’m so happy to hear that! My goal in life is to inspire (and be inspired!). My family gets so excited when they know I’m making Salisbury Steak Meatballs or Turkey Meatball Stroganoff for dinner! They are both delicious and the leftovers reheat well for lunches or dinner another night…if there’s enough leftovers! By the way…your Mini Pecan Phyllo Tarts are a huge hit everywhere I bring them! Thank you so much! Thank you for what you do!!! I have loved your blog for years and now your 2 cookbooks and look forward to everything you have for us in the future! Funny, that I have not tried many of these yet and I use your recipes on a daily basis. Will start on these recipes next! Every recipe I have tried becomes a favorite. Thank you so much for all your creativity and work. 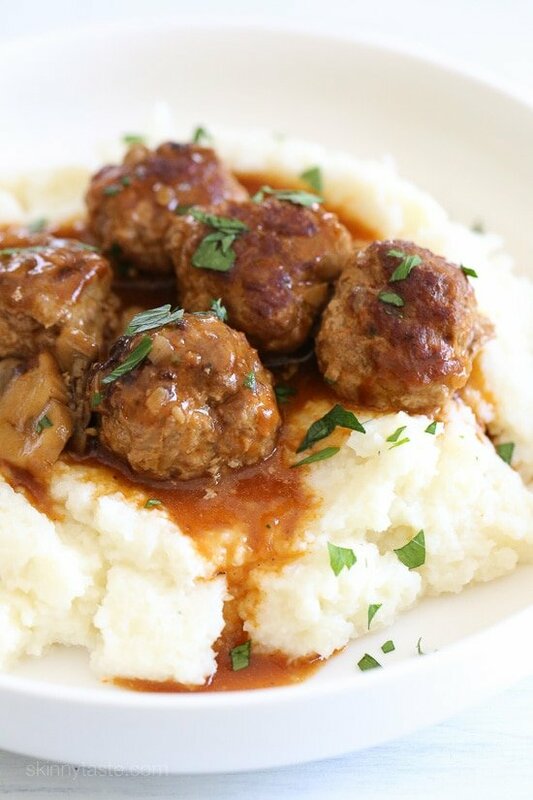 We love your Salisbury Steak Meatballs. 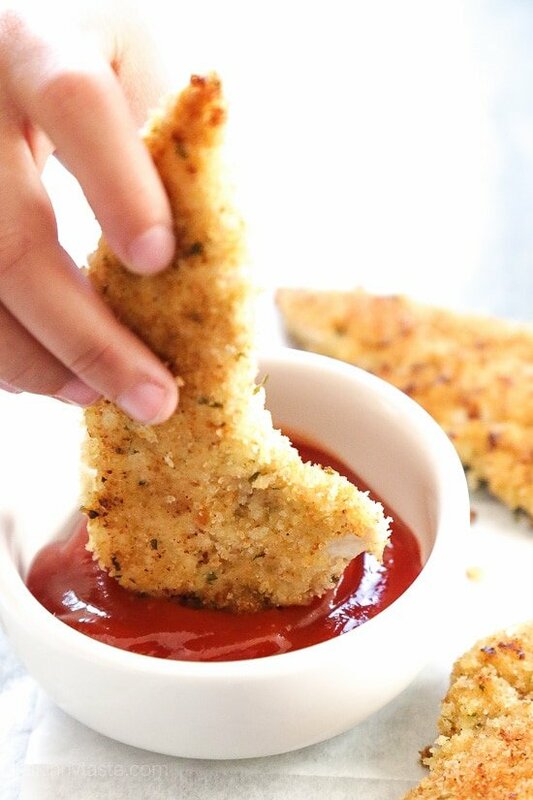 They are the pinnacle of comfort food! They also freeze very well which is a huge bonus! Several of your recipes are favorites in our home. A favorite in our house too. Even my picky picky son eats them (I chop the mushrooms super tiny so he can’t see them)!!! 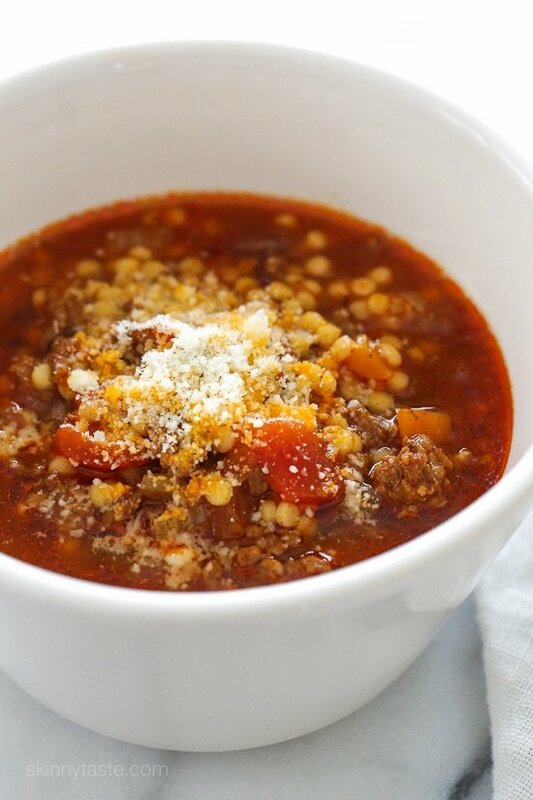 I’ve only been following your blog this year so don’t know when you introduced your Lasagna Soup but we love it. My husband kept asking – this is healthy? – while he ate two bowls. I make this regularly now. Love your cookbooks too. Thank you. Great! That was one of he top 25 from 2015! California shrimp stack?? We make that a couple times a month! Right!! Pretty crazy it didn’t make the top 25! Noodle-less Butternut Squash Lasagna has become a hubby favorite!! I talk about you and Ali (inspiralized) like you’re my friends… “Well, tonight’s recipe is a mix of both Gina and Ali!”. LOVE your recipes- one of my favorite things how easy yet tasty they are. Congrats on another successful year- looking forward to 2017’s recipes! 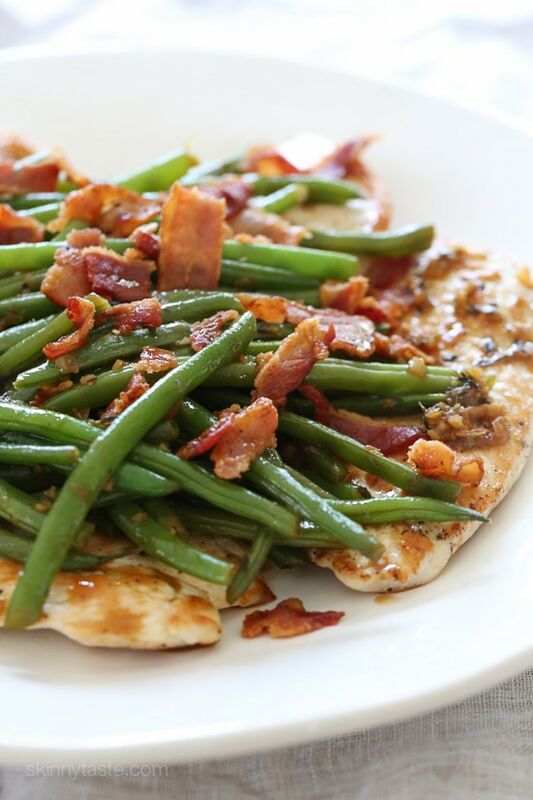 one-skillet chicken bacon green bean was a delicious hit in our house! My favourite is Turkey Chilli Taco Soup. ❤️❤️❤️ It’s the best soup I’ve ever made. Flavour is amazing. Love love love it. Love all your recipes! I don’t think I’ve tried any that weren’t good but my favorite is the chicken enchilada soup! It’s amazing!!!! 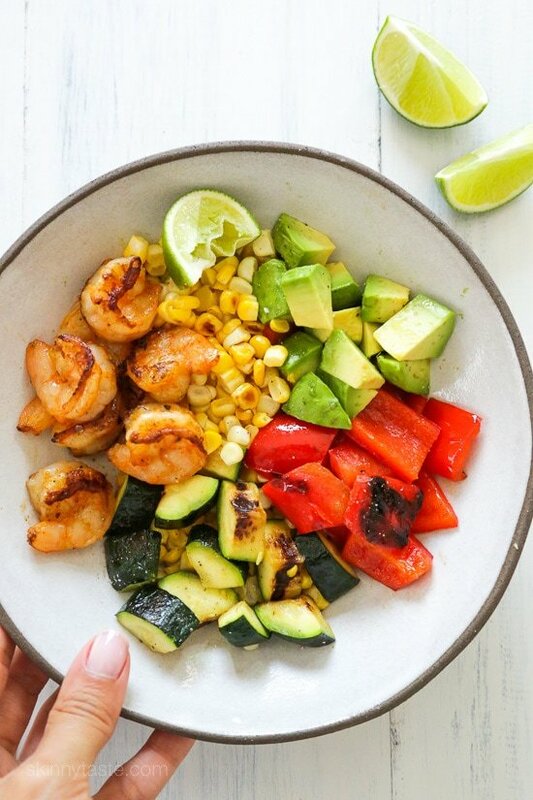 My most favorite is your Zesty Lime Shrimp and Avocado Salad. Living in SoCal I love salads more than hot foods much of the year. Same here, Barbara! I make that recipe at least once a week, and always when I have company. I couldn’t believe it didn’t make the list!! !